Android4412 SBC is a low price full featured Samsung 4412 quad core embedded dev board, 1GB DDR3, 4GB eMMC, support Android 4.0 and Android 4.4 KitKa Highlight * Low price, full features * Samsung Exynos4412, advanced Cortex-A8 ARM CPU * Mali-400 MP4 (533MHz) GPU * Separating the complexity involved in a hardware design onto the COM * Improve time to market, reduce cost and risk of integration and streamline development processes * Support G-sensor, WIFI and camera modules * Support Android 4.0 and Android 4.4 KitKa OSFeature * CPU: Samsung Exynos 4412, 1.6GHz, Cortex A9 Quad Core * GPU: ARM Mali-400 MP4 (quad-core) , 533 MHz * Memory: 1GB DDR3 * Flash: 4GB EMMC * PMU: ACT8847, Advanced PMU for Multi-core Application Processors * CPU Dimension: 66 x 46 x 3mm * LCD: 40-pin TTL LCD connector, 7” capacitive touch * Serial port: 1x UART; 3x RS232; 2x RS485 * USB: USB OTG 2.0, USB Host 2.0 * Ethernet: RTL8152B USB 10/100Mbps Ethernet Controller, RJ45 interface * HDMI: HDMI V1.4, 1080p/30fps HD output * User buttons: 3*3 keypad, Left/ Right/ Up/ Down/ Vol+/ Vol-/ Menu/ Home/ Back * SD card: 1x SD card slot * Interfaces: SPI, I2S, MIPI, INT/ GPIO, ADC/ PWM, Audio I/O * Buzzer: Control by PWM * RTC: Real Time Clock, powered by external lithium battery * Camera (option) : 1x 24-pin camera interface, 1x 20-pin camera interface; Max 5M pixels * WIFI (option) : USB/ SDIO/ on-board WIFI Module, control by J66 * Power IN: DC 12V/2A * Carrier board Dimension: 200 x 148mm About Design Services BOARDCON can provide the embedded hardware and software to meet user embedded project requirements. When the addition of user feature can economically be included in one of existing SBCs, BOARDCON will modify the board for a semi-custom solution. 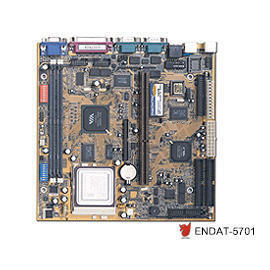 When needed, BOARDCON will develop a new embedded SBC or peripheral board to meet user requirements.